A-Line Deep V-Neck Split Sleeveless Pink Tulle Prom Dress with Beading $163.99 - Prom Dresses in Bohoddress.com. Such a beautiful dress! It is very well made. This is a great shop, and I will be ordering from them again. Simply beautiful dress, Custom made! super quality nice, the deal is super Good. Shipping was Fast. 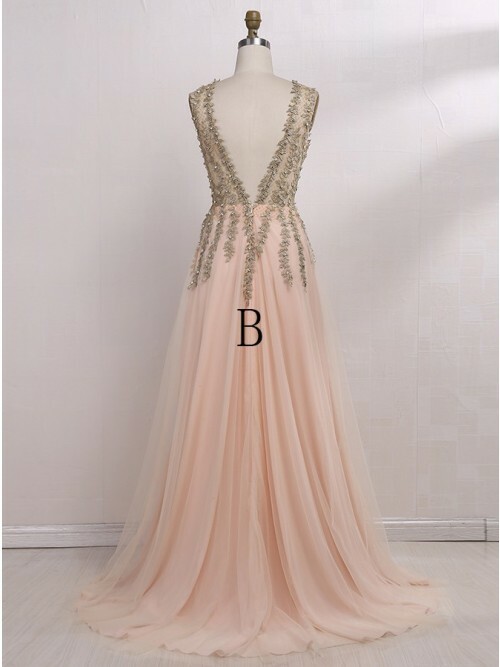 Upload your photo for A-Line Deep V-Neck Split Sleeveless Pink Tulle Prom Dress with Beading.